this article is from Frame. 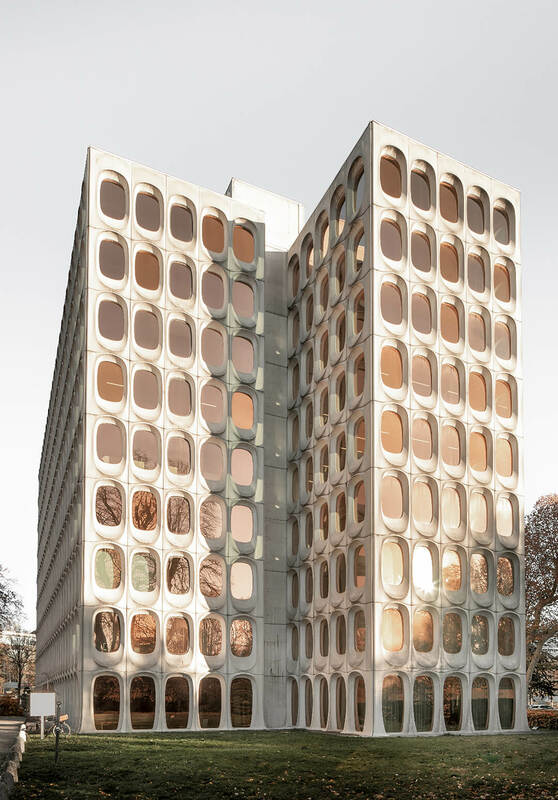 the yellow gold of the windows reflect radiantly in grey weather, and the sheer visual weight of the concrete juxtaposes against the setting of the Sonian forest beautifully. Inside, you suddenly feel as if you are in your favourite café, or restaurant – nothing is out of place, not the candles, the flowers, the décor. But for Geeraet, van Gool and Hannecart, this attentiveness is the whole point. The team has a certain alacrity that keeps them at the precipice of workspace evolution.